1992 Pro Line promo or sample card of former Pittsburgh Steelers Super Bowl quarterback Neil O'Donnell. 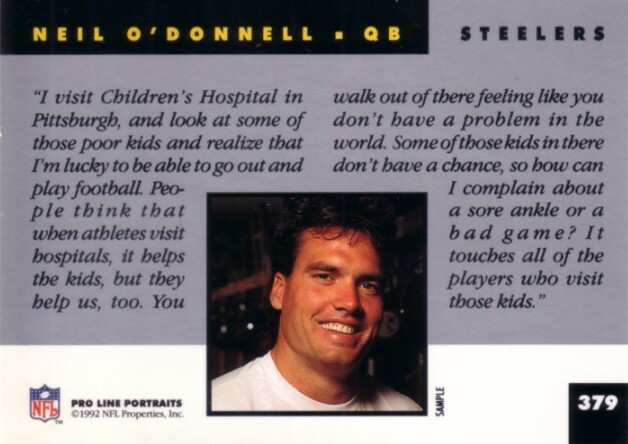 The word SAMPLE is printed in small lettering next to the bottom right corner of O'Donnell's photo. ONLY TWO AVAILABLE FOR SALE.